There’s a great demand for CNAs in long-term care. You can prepare for this role in health care in few short weeks and change your life and that of others. Your first step is to find and enroll in a CNA class that is approved by Pennsylvania State. Some programs require a high school diploma or equivalency. Those that do not require a high school diploma or GED certificate will assess your math and English abilities, which must be at the 7th grade level. All programs will include a mandatory clinical rotation, which will require criminal background clearance, negative test for tuberculosis, a statement of good health, and proof of age and eligibility to work in the United States. The program will include academics and practical skills development that will enable you to respect patients’ rights, assist with the activities of daily living, measure and record vital signs, observe patients and report adverse reactions to treatment or medications, collaborate with the health care team, and use effective verbal and written communications. The training may include certification for CPR, and Alzheimer’s and Dementia care. All nursing assistant graduates must take the State Certification Exam to be added to the Nurse Aide Registry before practicing full-time in a long-term care setting. Fair Acres Geriatric Center offers a free CNA program that prepares potential employees to practice as a nursing assistant. The curriculum covers 120 hours of theoretical in the classroom and practical instruction in a skilled nursing facility. Areas of study will include basic nursing skills, communication and interpersonal relationships, vital signs, infection control, death and dying, range of motion, and personal care. Graduates will be prepared to take the American Red Cross Certification Test, which includes a written and clinical skills exam. Classes meet Monday through Friday from 7:00 am to 3:00 pm. Students must attend all classes on time. Tardiness and absenteeism will result in dismissal from the program. The duration of the program is approximately 4 weeks. Fair Acres does not guarantee employment to all graduates. Information sessions are held every Thursday at 10:00 am. Through collaboration with the American Red Cross, Holy Redeemer is able to offer state approved Nursing Assistant Training at Holy Redeemer St. Joseph Manor. The program will include classroom theory, skills lab, and a clinical rotation at an approved nursing facility. The instructor-to-student ratio will be no more than 10 students to one instructor to give students the best chance of success. Academics and hands-on training will cover range of motion exercises, patient mobility, basic nursing skills, the role and responsibility of a nursing assistant, infection control, taking vital signs, communication, collaboration, Art of Caregiving, workplace safety, CPR, First Aid, and AED usage. Caring instructors will work one-on-one with students to ensure they succeed. The curriculum exceeds the state standards and will be held in the daytime hours only. Graduates will be eligible to take the state licensing exam to be added to the Pennsylvania Nurse Aide Registry. The training is free for potential employees. The Nursing Assistant program at Prism Health Aide Training prepares adults for entry-level employment in health care. The training includes didactic instruction with practical learning opportunities in the school’s skills lab and a supervised clinical rotation in a skilled nursing facility. Course topics include the role and responsibility of the nurse aide, basic nursing skills, vital signs, infection control, communication and interpersonal relationships, anatomy and physiology, medical terminology, feeding and nutrition, personal care, rehabilitation and restoration techniques, death and dying, and Alzheimer’s care. The program is designed to be completed in just 6 weeks. Program graduates will be eligible to take the State Board Exam for certification. Prism offers affordable tuition, job placement assistances, and flexible payment options to all students. PANAT’s recognized Certified Nursing Assistant training prepares adults for a career in health care. The intensive program combines classroom instruction with lab skills and hands-on experiences in a nursing home. Certified and experienced instructors emphasize quality and compassion in care. They will cover role and function of the nurse aide, infection control, communication, safety and emergency procedures, nutrition, patients rights and independence, observation and reporting, restorative care, personal care skills, care of the cognitively impaired, behavioral health and social needs, CPR and First Aid, clinical rotation, and theory review. Upon completion of the program, graduates will receive a Nurse Aide Diploma, which includes certification in CPR and First Aid and Alzheimer’s and Dementia Care. They will have the knowledge and skills to succeed on the Pennsylvania State Nurse Aide Competency and Training Exam to be listed on the Nurse Aide Registry. Tuition includes registration, PPD, stethoscope, lab fees, CPR certification, graduation pin, ID badge, blood pressure cuff, textbook, workbook, disposable supplies, First Aid, and graduation fee. Students must pay extra for the state exam and the state police background check. 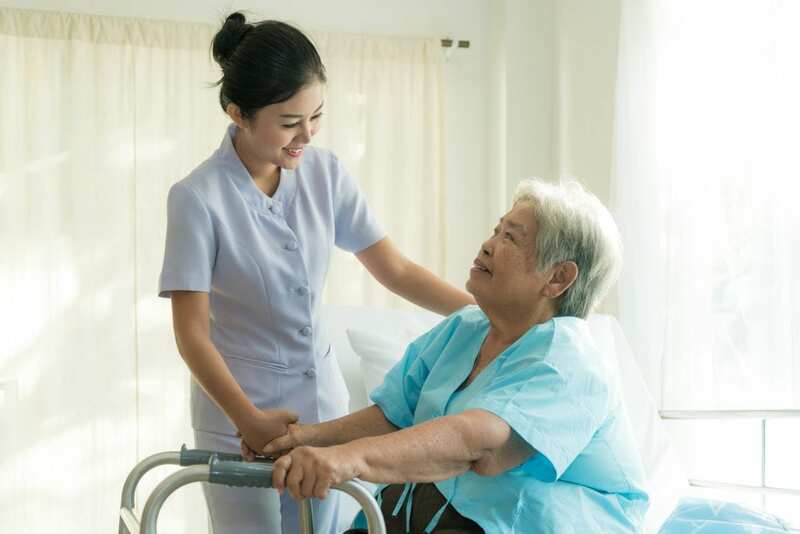 The CNA class at Entry Level Nurse Aide provides adults with the knowledge and skills to care for patients in acute and long-term care facilities. The curriculum covers 120 hours of theory and practical instruction in 4 weeks. Students will learn how to check and record vital signs, bathe, dress and feed patients, move patients from one place to another, assist with rehabilitative treatments, adhere to the legal and ethical standards of practice, communicate with patients and their families, and collaborate with members of the healthcare team. Graduates will be eligible to apply to take the State Board Certification Exam to become Certified Nursing Assistants. Morning and evening schedules are available. The morning class meets from 9:00 am to 2:00 pm. The evening class meets from 5:00 pm to 10:00 pm. Interested persons can register in person or online. Tuition costs $1,300 and includes textbooks and uniforms. An interest-free payment plan is available for all students. Penn Asian Senior Services prepares students for success on the State Competency Exam. The training will cover 120 hours of theory and clinical instruction. The clinical component of the program will require participation in 52 hours of direct patient care activities in a skilled nursing facility. A licensed nurse instructor will supervise students throughout the process. Students will learn basic nursing skills, resident rights, personal care skills, basic restorative skills, mental health and social services, and cognitive care. PASSi offers competitive tuition rates, evening and weekend schedules, and experienced instructors. The evening classes meet from 5:00 pm to 9:30 pm and on weekends for the clinical rotations. Tuition assistance is available for eligible students.